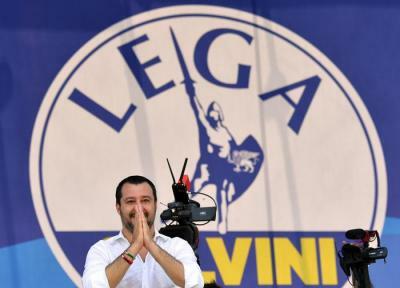 ROME – The Court of Cassation has given the green light for Italian authorities to seize funds from the right-wing League party “wherever they are found” after the party allegedly defrauded the State of up to 49 million euros, judicial sources said. The money, attributable to the Northern League, on bank accounts, booklets and deposits, regards a case in which former League leader and founder Umberto Bossi, the party treasurer Francesco Belsito and three other defendants were initially convicted on Sept. 24, 2017, only for the verdict to be overturned on appeal. The current League leader and Deputy Prime Minister Matteo Salvini had successfully led the reversal of the ‘blanket’ seizure of party funds, although a further appeal from a Genoa prosecutor was upheld by the Court of Cassation, paving the way for Finance Police to proceed with the blocking of the League’s accounts. Salvini stressed that he had “never seen the money,” whilst authorities have already frozen 1.5 million euros from the League’s accounts. “The 49 million euros are not there, I can make a collection, but it is a political process that concerns facts from 10 years ago,” he said, as confusion spreads amongst party members. “We are astounded to learn of the reasons for the sentence from news agencies, even before the Court of Cassation, according to which, 48 million euros in electoral reimbursements should be seized,” said League party administrator Giulio Centemero.